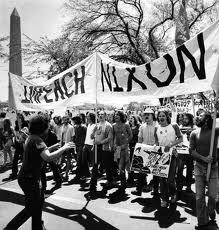 In United States history, Articles of Impeachment have been filed against two U.S. Presidents. In 1868, the House of Representatives impeached Andrew Jackson for violation of the Tenure of Office Act. He was acquitted by a single vote. In 1998, Bill Clinton was impeached for perjury and obstruction of justice following a very public scandal and investigation. Again, the Senate voted to acquit him on both counts, despite the fact evidence seemed overwhelming. Amazingly, many Americans know absolutely nothing about the overall procedure. They are largely unaware of which positions that are subject to these procedures, and what types of violations or high crimes can bring about charges. This writing will focus on the process of impeaching a standing President of the United States of America. The guidelines for impeachment are set forth by Section Four of Article II of the United States Constitution. Only the House of Representatives can file Articles of Impeachment, while the United States Senate is the only authority that can hold trials and convict or acquit. According to the Constitution, charges may be filed for “Treason, Bribery, or other High Crimes and Misdemeanors.” All proceedings are administered by the Congress with no involvement from the Supreme Court, aside from presiding over the proceedings. The entire process begins within the House Judiciary Committee (HJC). After much discussion related to possible charges, the Chairman of the House Judiciary Committee is responsible for filing a Resolution requesting that the committee begin a formal investigation into the possible violations. The Resolution is first sent to the House Rules Committee to determine whether or not grounds for formal charges in fact exist based on law. If the House Rules Committee agrees with the resolution, it is sent back to the HJC for presentation to the full House of Representatives for debate. After debate has concluded, the Articles are put to a vote as a whole, or Article by Article. A simple majority is required for passing. Once the Articles have passed the House, a Resolution is sent to the Senate notifying them of the House’s findings. The Senate is required to adopt procedural rules and set up a trial. The trial is held before the entire Senate. “Managers” from the House of Representatives will act as prosecutors presenting the case against the President on behalf of the government. The President will be represented by his own counsel during the hearings. Both sides will have an opportunity to present witnesses and evidence supporting their side. After hearings have concluded, the Senate will meet in a private session for debate. Following debate, the Senate is then required to convene is an open session for a formal vote. A two-thirds majority is required for conviction. If convicted, the Senate must then vote for removal from office. The final step is a vote by the Senate regarding the possibility of the President holding any other government office in the future. This final vote only requires a simple majority. As mentioned above, impeachable offenses include “Treason, Bribery, or other High Crimes and Misdemeanors.” The first two, treason and bribery are fairly straightforward. 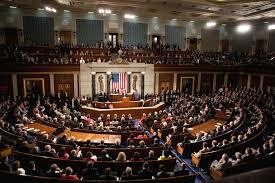 However, high crimes and misdemeanors give Congress a lot of latitude when interpreting the law. purchase a domain name cheap Crimes such as perjury, obstruction of justice and fraud are generally classified as high crimes. Misdemeanors, in this case, would appear to be a misnomer, meaning they would have to be very high level misdemeanors in order to warrant consideration. The reality is that impeaching of high level officials is a very complicated process with many political and practical implications. Most officials caught up in real controversy will usually resort to resignation long before bringing charges is discussed as an option. The fact that no U.S. Pres has ever been removed from office is a testament to the seriousness of the procedure. Why Wasn’t Richard Nixon Impeached? The infamous Watergate investigation was underway. When certain details about erased tape recordings and dubious conversations with cohorts became public, Nixon decided “it was in the best interest of the country” for him to submit his resignation. In retrospect, history has shown that Nixon was simply avoiding the inevitable for the sake of saving face and the future prospects of his political party. If impeachment is successful and the POTUS is formally removed from office, who takes over his/her responsibilities? Of course, the Vice-Pres is next in line for the position. Beyond the VP, the following positions are in line to assume the position of POTUS, regardless of the circumstances: (in order) Speaker of the House, Pres. pro tempore of the Senate, Secretary of State, Secretary of the Treasury, Secretary of Defense and the Attorney General. Can U.S. Citizens request impeachment of a POTUS? No, not formally. U.S. citizens always have their right to vote as a method of trying to convince their congressman to take action. However, the entire responsibility for the procedure resides entirely within Congress.